DRYROBE® THE OUTDOOR CHANGE ROBE™, WAS DESIGNED BY GIDEON BRIGHT, A NORTH DEVON UK BASED SURFER WITH OVER 30 YEARS EXPERIENCE IN THE WATER. I grew up in Cornwall & worked in graphic design, I had a bit part in a movie ‘Blue Juice’, which led to London, where I worked in the film industry for 15 years before relocating back to North Devon when my family started. The first dryrobe was based on an idea my mum had when I was younger (about 16). I always used to get cold changing in Godrevy car park or wherever I was surfing & living in Carbis bay, near St.Ives in Cornwall, we surfed all year round and it gets cold in the Winter. Mum was handy with a sewing machine and decided to do something about helping me. Just for info: Mum is now 76 (on the day of writing this, sorry Mum) & went body boarding today. Legend. She gave me this homemade ‘thing’ one Christmas. It was like a huge cape. It was light blue waterproof material on the outside, with a stripes across it, a dark blue towel lining with an elasticated hole for your head to stick through & a hood with poppers. She later told me “it was a like a hatty fattener”, which was something her Mum made for her, only out of toweling. I remember taking it with the best ‘Wow thanks Mum’ I could muster & slinging it in car. It was a freezing day at Godrevy, I can’t remember when exactly but must have been winter 1983 (ish). The wind was so cold it was freezing our faces off just looking at the surf. So we got in the suits OK but coming out I remember thinking, I don’t care what anyone says, I’m using that thing, so I busted it out, slung it over my head. Now, I think, it was just Scraps & me but maybe Ratsy or Rambel, or Huddy.. can’t really remember but pretty sure the car park was empty apart from us. The cold had frozen our brains, I think, as I don’t remember much being said. We had gone into survival mode. I got changed in it, then I passed it on & we all used it. Genius idea! That thing did some changes over the years. It got in a bit of a state due to the towel lining, but I’m pleased to report it has been handed back to us! I know there is a photo about somewhere from those days & the hunt is on to find it. (but no luck yet). My old mate Jasper told me that he still had it and he sent it back to me. This was in 2013! I can’t believe it’s still in one piece & not rotted to pieces. Anyway, here is a recent picture of the real original being modelled by Ben. Yes We found it! thanks Jasper. Very shortly after that day, I was visiting family in Australia when I spotted some people using a long narrow fitting coat, around a swimming pool in Engadine, near Cronulla. They were putting this thing on staying warm & then going back in the pool & re-using it when they came out again. I checked it out & bought one. When I got back to the UK I set about making the first waterproof & windproof change robe using the template of a towel change robe & tried to source fabrics similar to the coat. The first versions had no zip front & no sleeves, and the lining felt awful. It took some lateral thinking & some good fortune to source the right elements but the revised version got simplified & improved upon until the design worked & dryrobe was born. I wore the first dryrobe at Marine drive, in Woolacombe, Devon in 2010. I knew straight away that it was good. I was asked straight away, by two ladies, where they could buy one. A bit of a weird conversation, as I was ‘mid change’ & naked in this dryrobe thing. Trust me, it feels strange talking to people like that the first time. I sold the first few to mates who just asked me for one & started making them with the help of a local business. The first ever waterproof, windproof change robe ‘dryrobe’ sold online in Dec 2010. I started a twitter account & people started wanting them. I remember some of the initial comments on my twitter account about the cost of the dryrobe, when people were comparing it to a towel robe. I wanted people to see how good it was but it became clear that I couldn’t produce them in the UK as it was just too expensive. I moved production to china early in 2012 (that’s a whole story in itself, for another time). This opened up possibilities to improve on the build quality, components & fabrics we use too. The business was started on a laptop using a cupboard beside my bed as a desk. It moved into the garden shed for a year & then into serviced offices & finally into our own space. There is now a team based in UK & in the US. The innovation & development does not stop. We are bringing out whole range of products with function & design as the core concept. The dryrobe reviews & comments have all been so positive & just using the product is proof enough of the thought & care that has gone into it, and almost reward enough on those freezing morning changes. I definitely can’t say it is without it’s challenges but we have some exciting times ahead.  The dryrobe® has received high praise since its launch & has become a very familiar around car parks in the UK’s best surf spots & on the back of the best athletes from all over the world. It has become an essential companion for open water swim training for triathlon & virtually all outdoor sports have embraced the benefits, of staying warm while changing outdoors, after racing or just hanging about outdoors. You might have spotted them on TV being worn by some very big names in Triathlon. (We can’t talk about that due to sponsorship issues) and many other celebrities. We were approached by the Sport Relief team to supply them for Davina’s Beyond Breaking Point Challenge & more recently DJ Greg James Sport relief #gregathlon challenge. We have supplied many big names & brands with team kit including Team GB, RedBull & Mercedes Benz.